Polycystic Ovary Syndrome (PCOS), is a condition that affects around 1 in every 5 women within the UK. 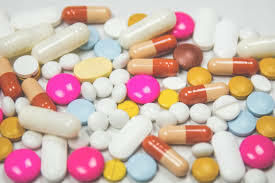 While the cause of the condition hasn’t yet been identified, experts believe that it’s centred around an abnormality in hormone levels, primarily, an increased insulin level. It is believed that the body produces higher insulin levels because PCOS suffers are very resistant to the sugar controlling ability of insulin. Due to the higher levels of insulin, more male hormones are produced, like testosterone. There are also other factors associated with PCOS, including irregular periods and polycystic ovaries, which is where the eggs in the ovaries are surrounded by follicles and the ovary is enlarged. 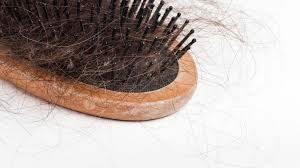 The increased level of male hormones is what contributes to the hair loss suffered as a result of PCOS, with hair thinning and hair loss, both being possible. However, it’s not just hair loss that sufferers of PCOS face, but increased levels of hair growth in places like the chest and face. Along with medical treatment, making changes to your lifestyle can help to treat hair loss and other symptoms that occur in women with PCOS. We have put together 5 top tips, that can all help you to feel better and start to treat PCOS. Start a Daily Routine– Daily routines introduce many factors that can help to combat PCOS. Starting an exercise routine designed to reduce testosterone levels, getting the right amount of sleep to ensure that your hormone levels are regulated, and avoiding toxins in your environment that can cause a hormone imbalance, are all essential for PCOS sufferers. Take Care of Your Hair– While hair care is always important, it is even more so if you have PCOS. 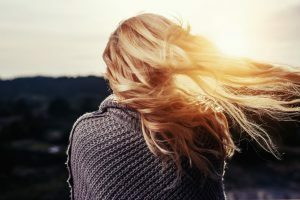 Reducing the amount of harmful hair products that you use, not washing the oils out of your hair too frequently, and completely avoiding hairstyles that mean pulling your hair back from the scalp, can help your hair to stay in better condition. Change Your Diet– A healthy diet leads to a healthy body. This is especially important with PCOS, as obesity can lead to even higher levels of insulin production. A healthy diet means switching to foods that are better for your body, such as foods with high protein levels and foods with healthy fats. Naturally Manage Your Hormone Levels– You can help manage your hormone levels with just a few changes to your lifestyle. Switching to organic food will limit the amount of toxins that you ingest through your food. Similarly, stopping smoking and excessive alcohol intake can help you to manage your hormone production. 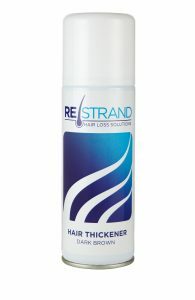 Regain Your Confidence with Hair Loss Spray– Stress plays a large role in the symptoms of PCOS, so minimising your exposure to stressful situations is important. However, for many, hair loss is an extremely stressful condition. 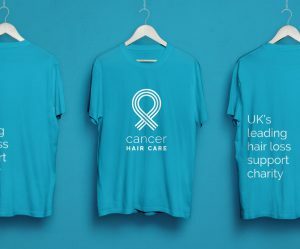 Like the hair loss spray for women, there are similar products that can help you to regain your confidence, and minimise the stress of hair loss. Learning that you have PCOS, and then having to deal with the symptoms, can be extremely hard. But with a few changes to the way you live, and with products to help you get your confidence back, PCOS can be managed.